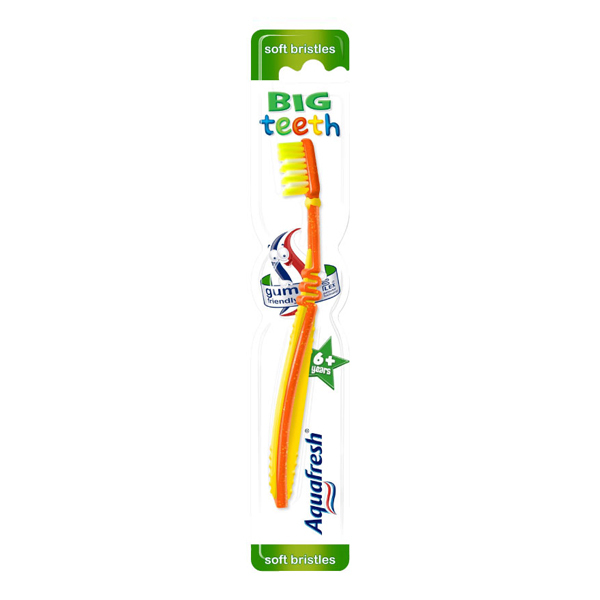 Aquafresh has a range of toothbrushes specially designed for children. ï¿½ Soft bristles clean and massage delicate gums. ï¿½ Flexible neck helps absorb brushing pressure that may cause gum irritation and the small angled head helps clean hard to reach places. ï¿½ Different bristle lengths; to reach in between the teeth. ï¿½ Various groovy colours encourage children to brush.